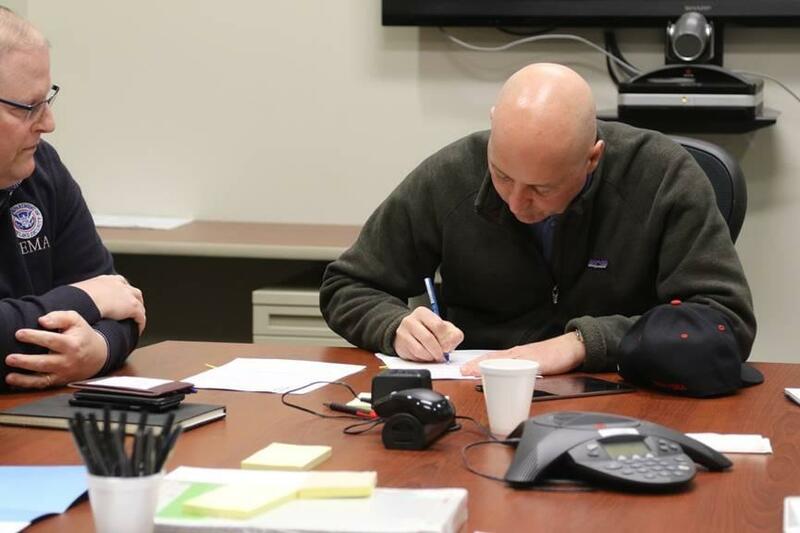 Governor Pete Ricketts met with the Federal Emergency Management Agency (FEMA) Regional Director Paul Taylor. During the meeting, Governor Ricketts signed and submitted Nebraska’s expedited request to the federal government for disaster assistance. The request will be now be considered by FEMA’s regional office and headquarters. During his time touring flooded areas of the state, Vice President Mike Pence signaled President Trump would approve the expedited request. 70 percent of the state is under a disaster declaration.